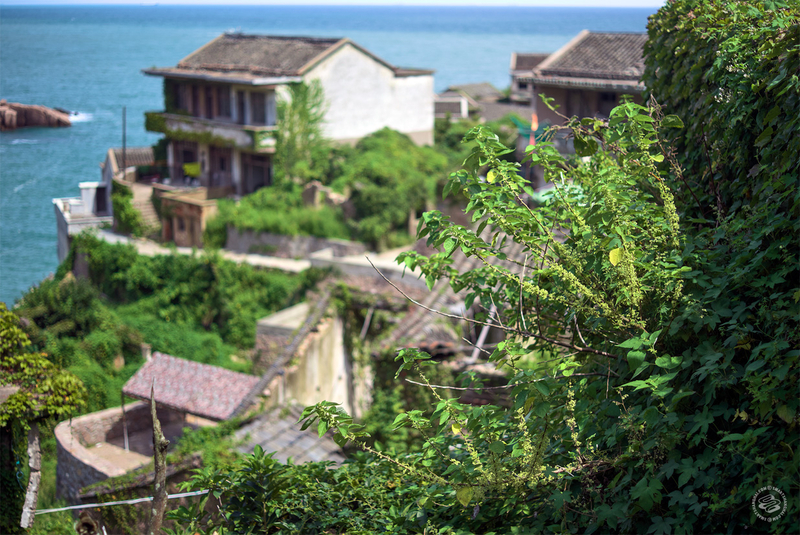 Busting ghosts in the derelict fishing town of Houtouwan. 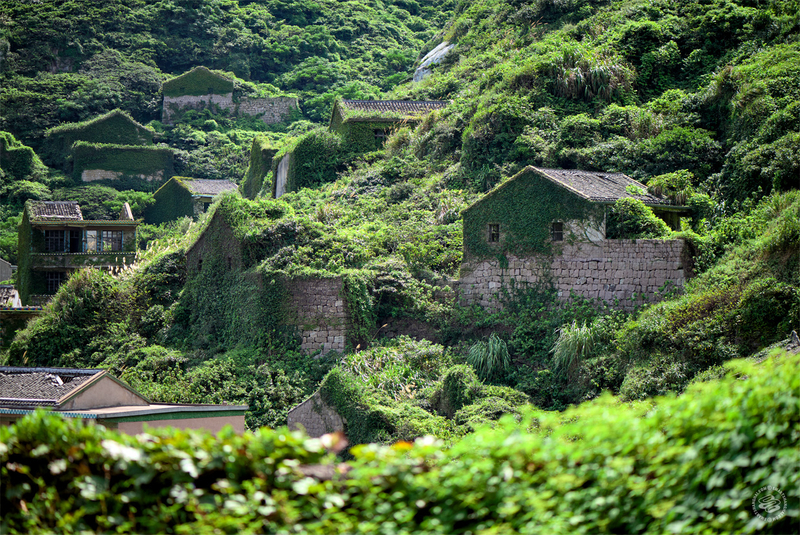 The first glimpse of the abandoned village as you crest the hill is nearly worth the trip. 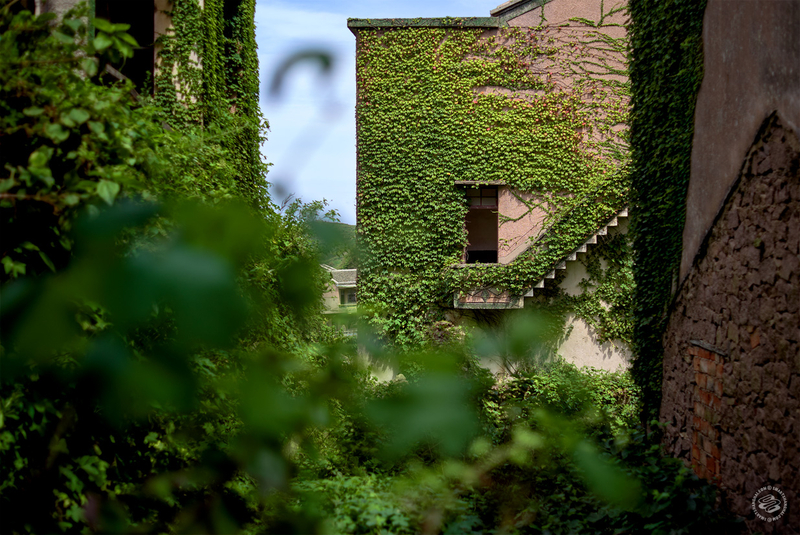 At first it appears that only a few houses still stand, little white-washed fingertips jutting up from the greenery, but as you approach, the telltale right-angles and hard shadows of architecture stand out from the vines. 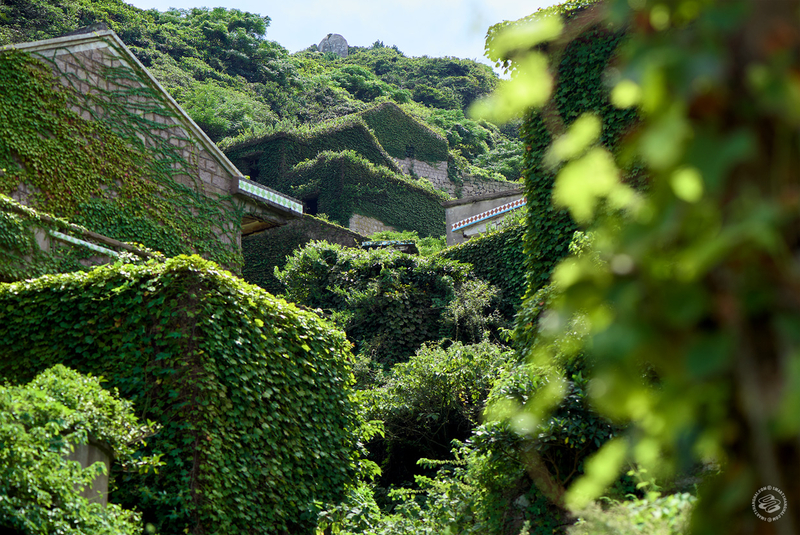 Gradually the realization dawns that the gorge leading down to the choppy blue ocean is filled with man-made structures, reclaimed by creeping ivy. It's a primordial tableau. 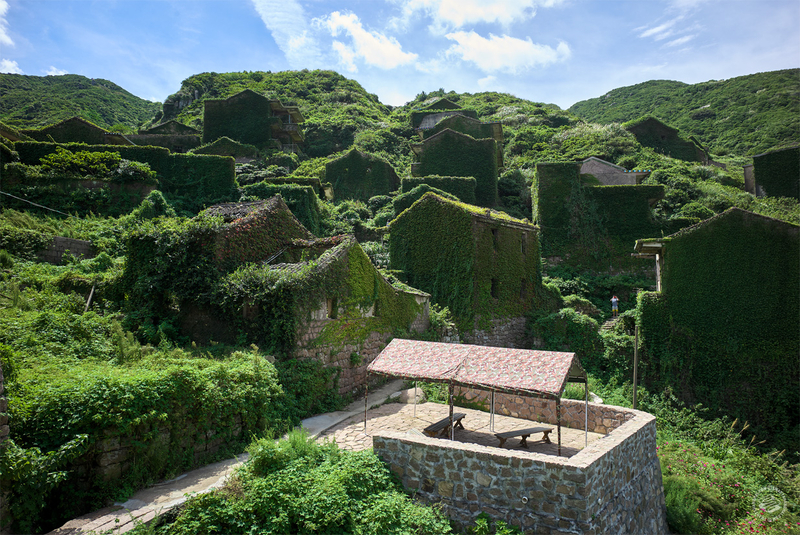 Man versus nature, a ghost town on a distant island, a graveyard settlement that fills the mind with words like "post-apocalypse" and "epic." Maybe it's the six-hour journey from Shanghai talking. But yeah, it’s epic. Descending the narrow stone path reveals it's not quite as abandoned as first appearances suggested. 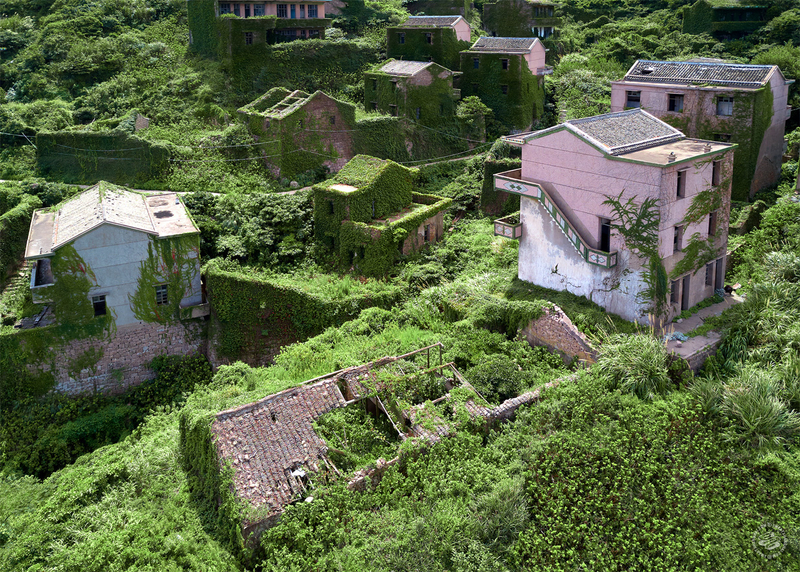 In amongst the ruined homes and overgrown paths, figures in neon colored shirts move about. A film crew lugs lighting rigs and generators down the steep steps. There's even a small store manned by a friendly couple selling Red Bull and Coke to the handful of visitors posing for photos. 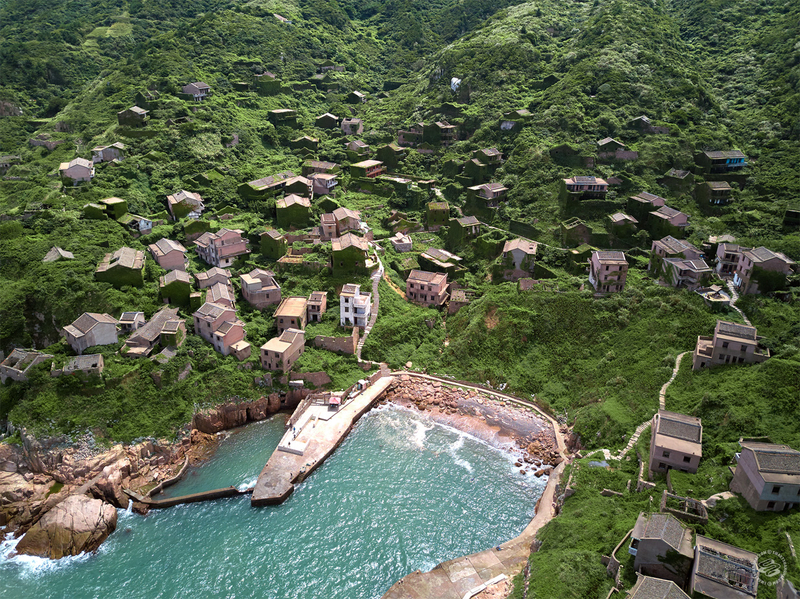 This is Houtouwan, the famous abandoned village of Shengshan Island. 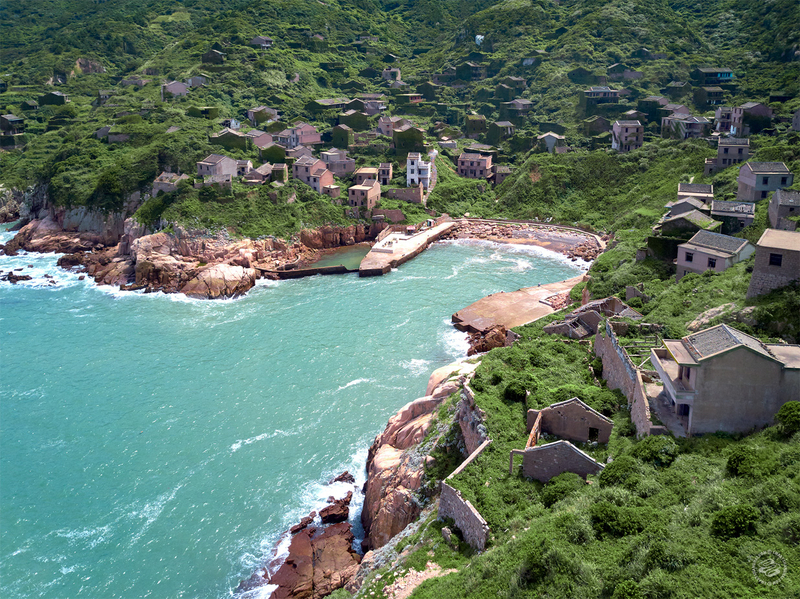 Known to the locals simply as wurencun (no person village), it's been the subject of National Geographic articles and a fair few travelogues written by adventurers drawn to what looks, in pictures at least, to be the Zhoushan Archipelago's answer to a lost Mayan city. 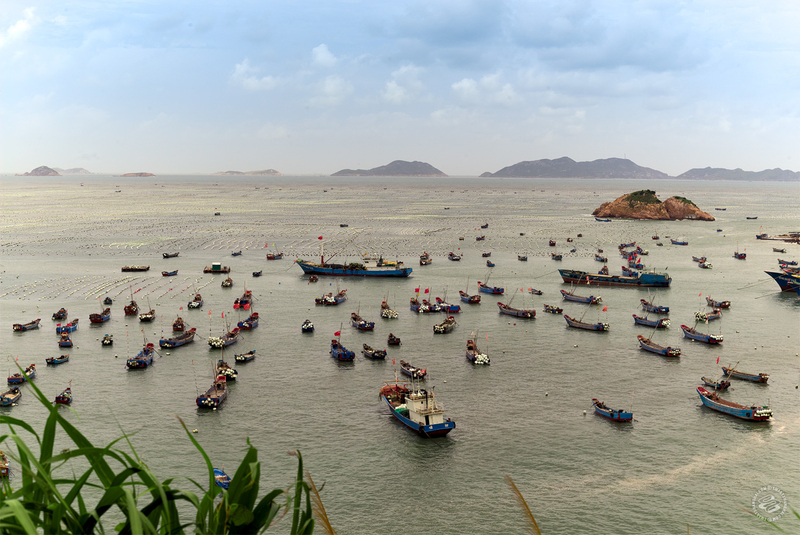 The story of Houtouwan officially starts with settlement in the 1950s, but doesn't really begin until the 1980s and 90s, with China's fishing boom. 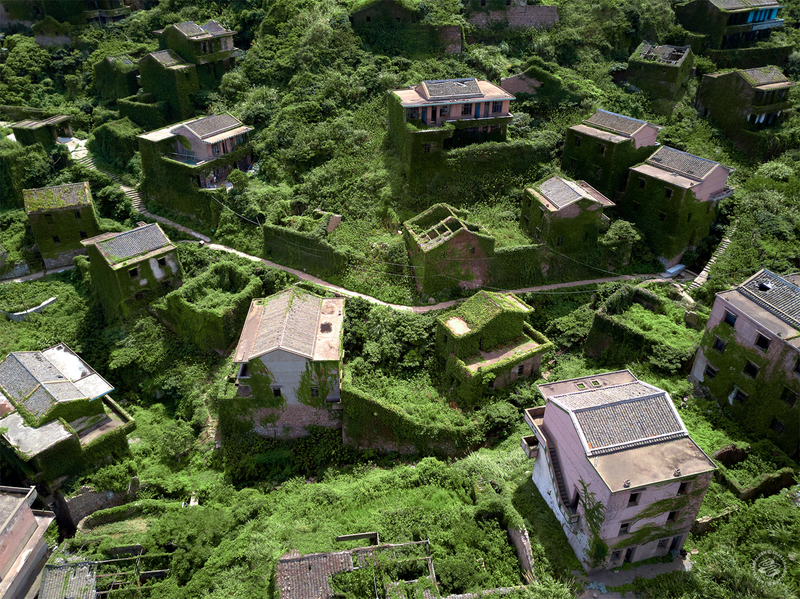 By the end of the 20th century, this cluster of houses had spread up and over the steep inclines of the adjacent coves. 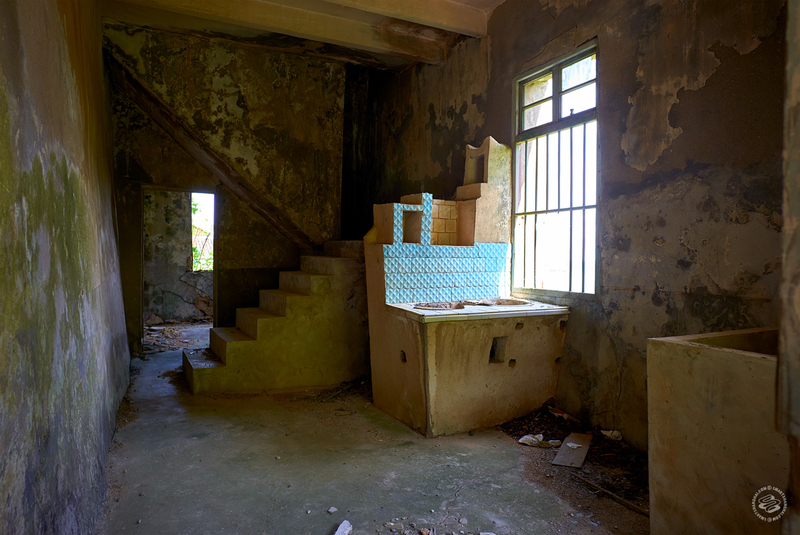 At its height, there were 3,000 people living here. From that point, the stories diverge a bit. 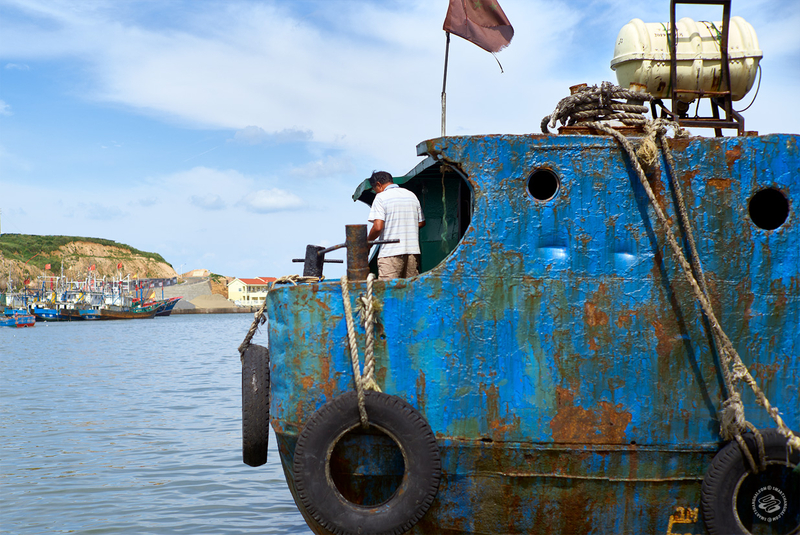 Some say rampant commercial fishing meant the town couldn't support itself. That seems unlikely; less than ten minutes away are two bustling ports thriving off one of the world's largest mussel farms, stretching far into the sea. 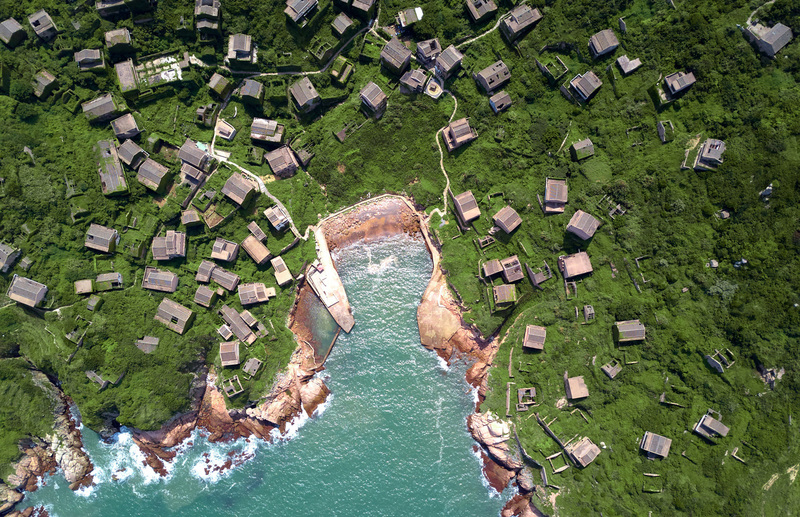 A couple of the taxi drivers on the island will say it's because it was just too inconvenient to live there. 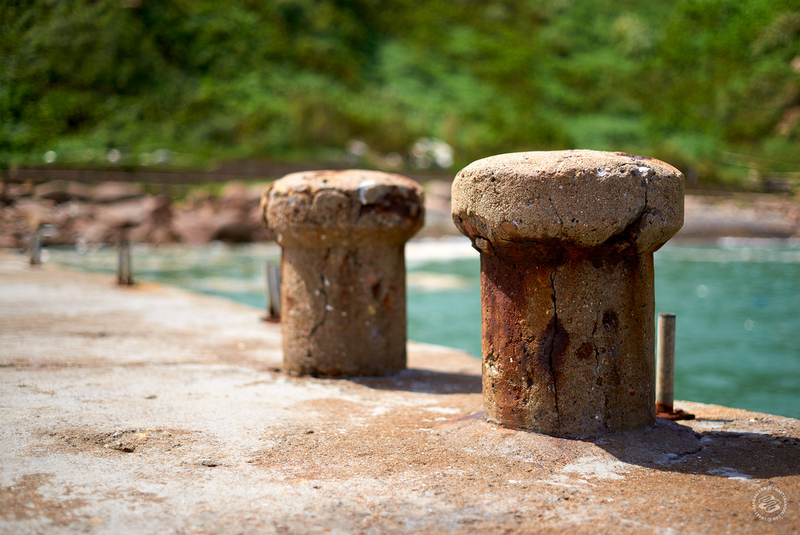 The path to the village was too steep, and the bay was too small. 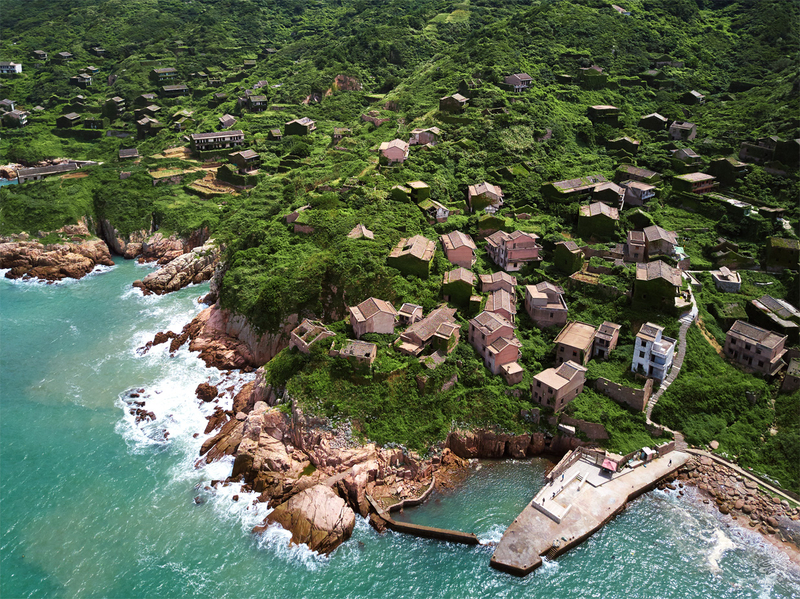 Whatever the reason, the inhabitants gradually moved to the island's western villages, to nearby Shengsi island, or to Ningbo and Shanghai, if they could afford it. Many of the families came from Ningbo anyway. By 2002, Houtouwan was empty. Fast forward 15 years and the village is gradually becoming a bit of a tourist hotspot. The flagstone path has been cleared, leading past the old school building, where math lessons (probably written by visitors) are still visible on the blackboards. 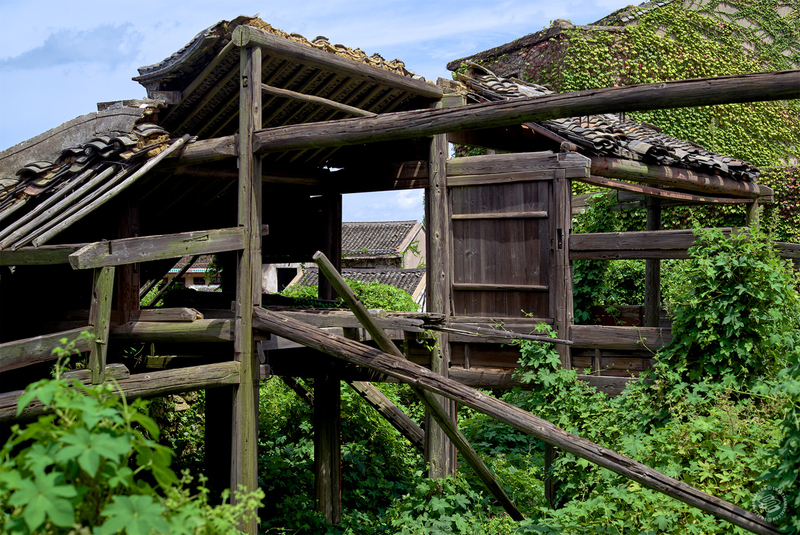 Raised walkways peek directly into the second or third floor of empty, crumbling buildings, then wind down to the docks and back up again to a little square with a roofed seating area and a fantastic view. 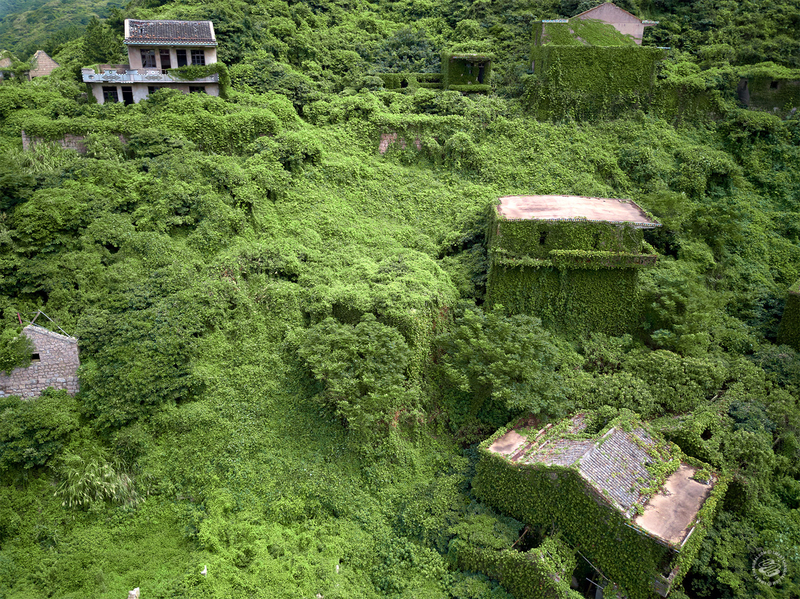 Here and there, paths branch off between buildings, heavily overgrown and impassable to anyone except stray dogs. 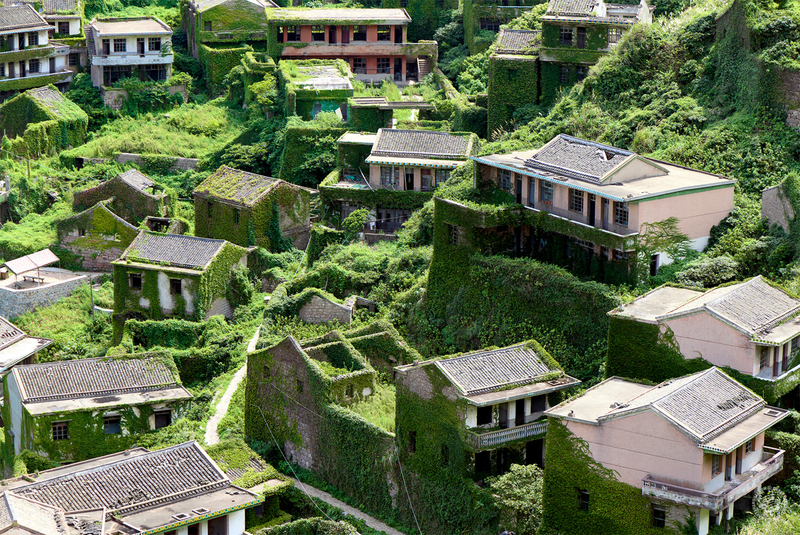 The rest of the village, which stretches beyond the next two rises, is off-limits. 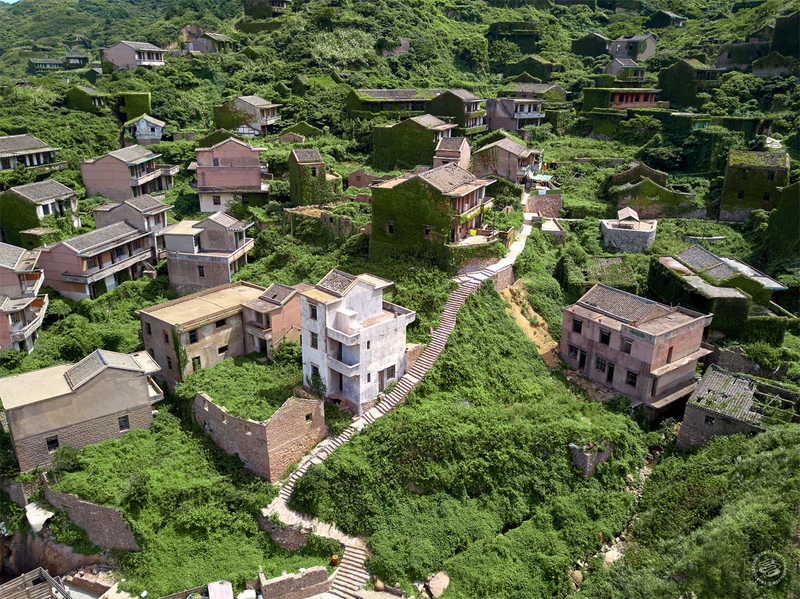 "Too dangerous," say the ladies in the neon shirts, the appointed guardians of the abandoned village, as they block the path over the ridge. They haven't cleared a path and hung "no entry" signs over every doorway yet. "You'll fall and be injured." For now, visitors are left to wander a circular route that would take 15 minutes to complete at a brisk walk. Still, it's a photographer's paradise. Even with only a fraction of the village accessible, the results should speak for themselves. 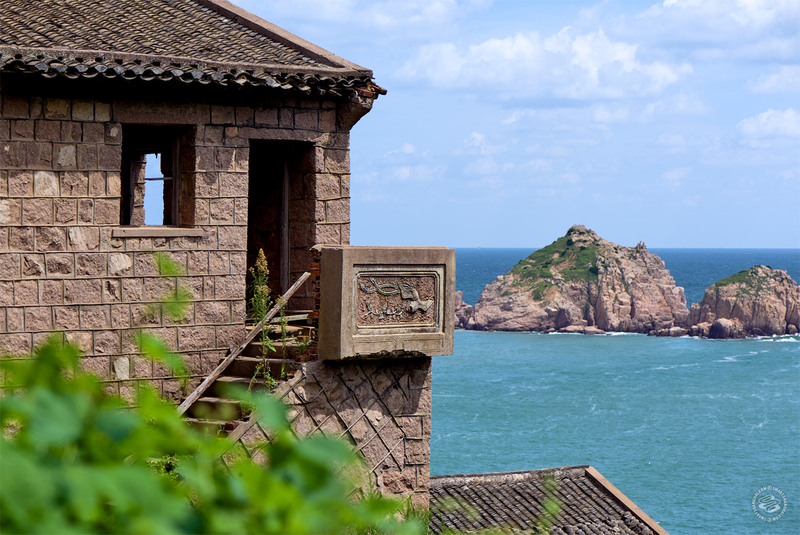 It's almost worth the lengthy trip out, especially if you take the chance to see Shengsi's beaches or Shengshan's rugged cliffs, the eastern-most point of the Zhoushan island chain, and gorge yourself on grilled prawns and mussels. 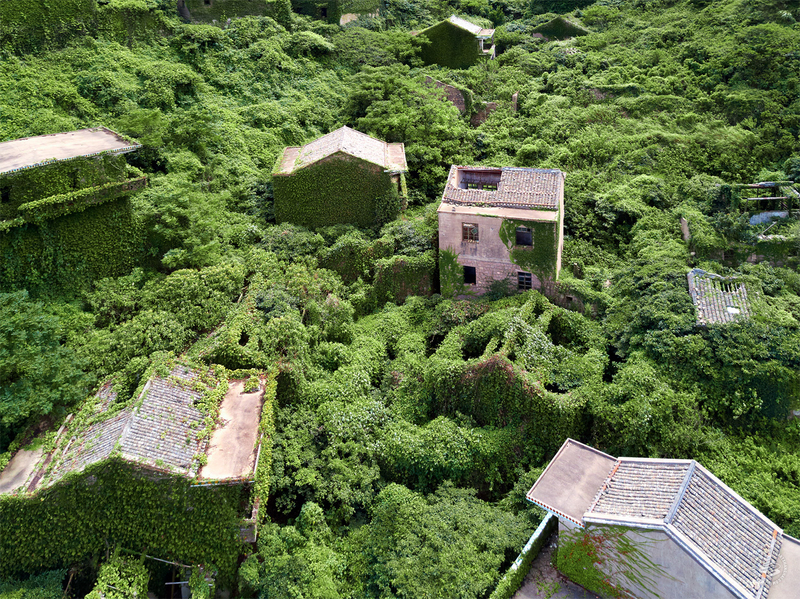 But if you're looking to delve into the abandoned corners of the "Ghost Green Village," maybe come back in a year or two when, as the neon ladies promise, "we've fixed the path." The journey from Shanghai to Shengshan will take you roughly five-six hours. 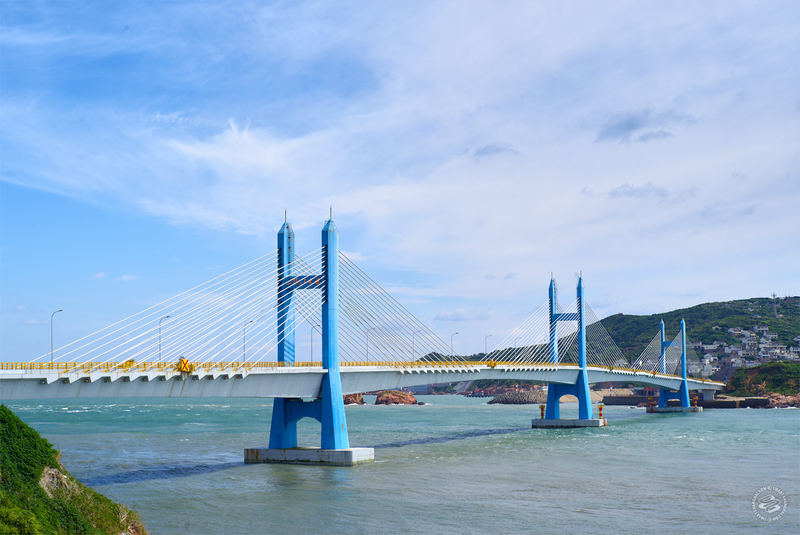 You can buy combination bus-ferry tickets from the Nanpu Bridge bus station for 144rmb during high season. Tickets can be bought on the day or for the next day. 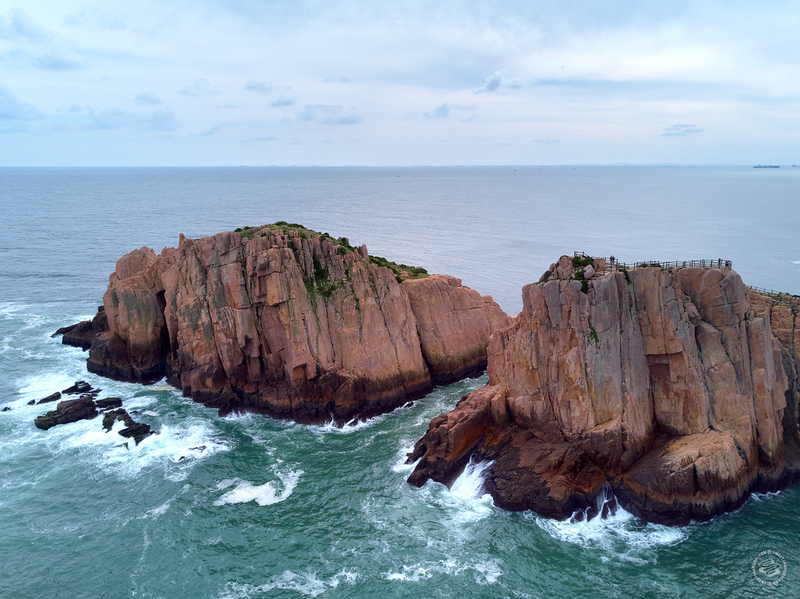 It's a two-hour-ish journey to Shanghai's deep-sea port, Yangshan, and a one-hour ferry to Shengsi Island. You'll have to change docks to Xiaocaiyuan Pier, where you can buy tickets (70rmb during high season) to Gouqi/Shengshan. 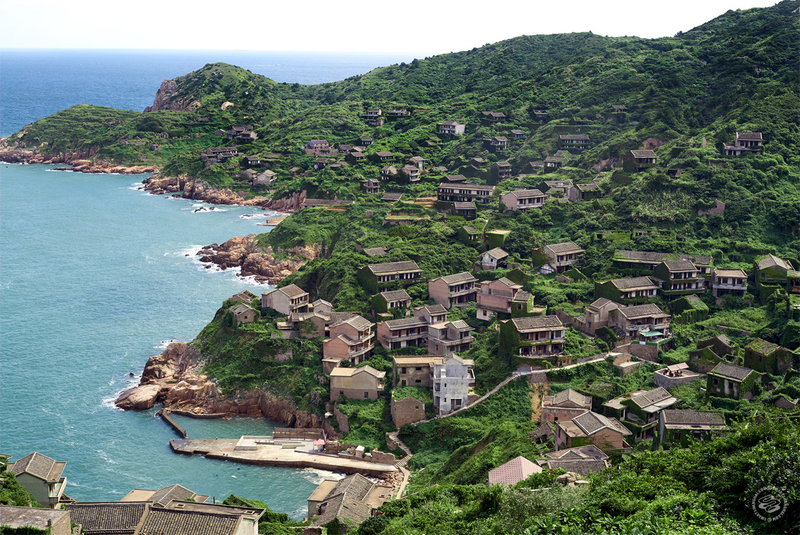 They're actually two islands connected by a bridge; the ferry lands at Gouqi, but the village of Houtouwan is on Shengshan. From the port, grab a taxi (keep the driver's number). They'll know where you're going. 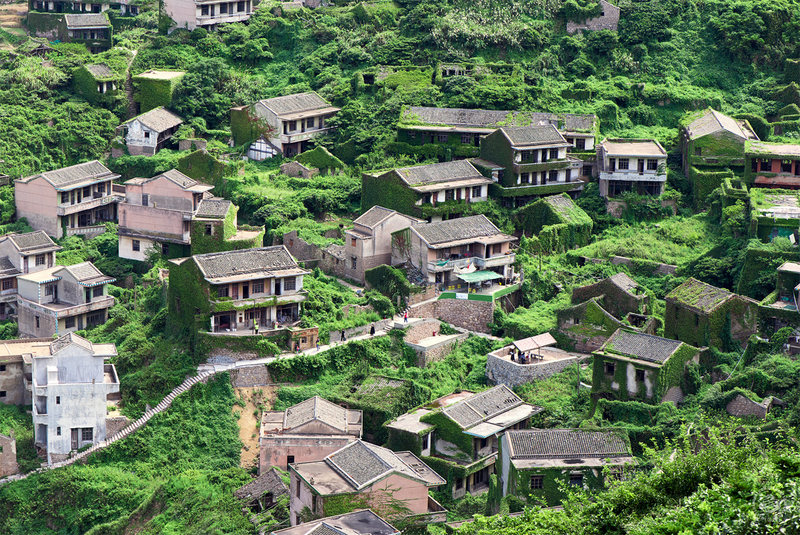 It's 50rmb to enter the village, located a ten-minute walk from the road. 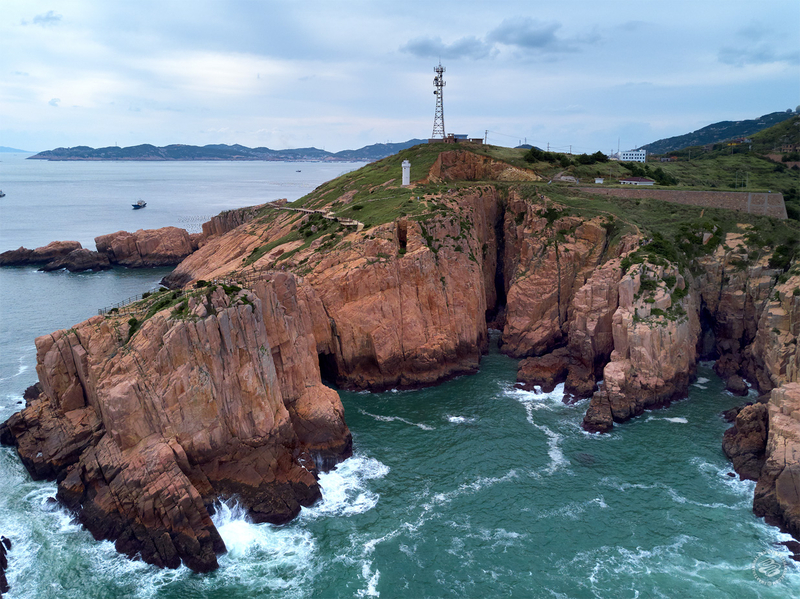 The ferry schedules are subject to change based on everything from season to weather to the whims of the port authority, but broadly, there are about six ferries a day between Gouqi/Shengshan and Shengsi and between Shengsi and Shanghai. Your best bet is to check their WeChat channel "嵊泗客运总站." 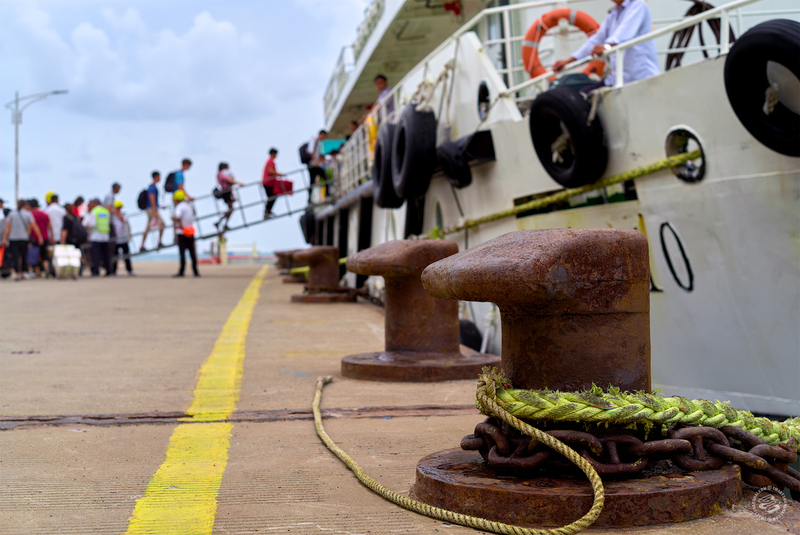 Try to get the Bihai (碧海) or one of the other open-deck ferries, as they make the sea-passage tolerable, even enjoyable. 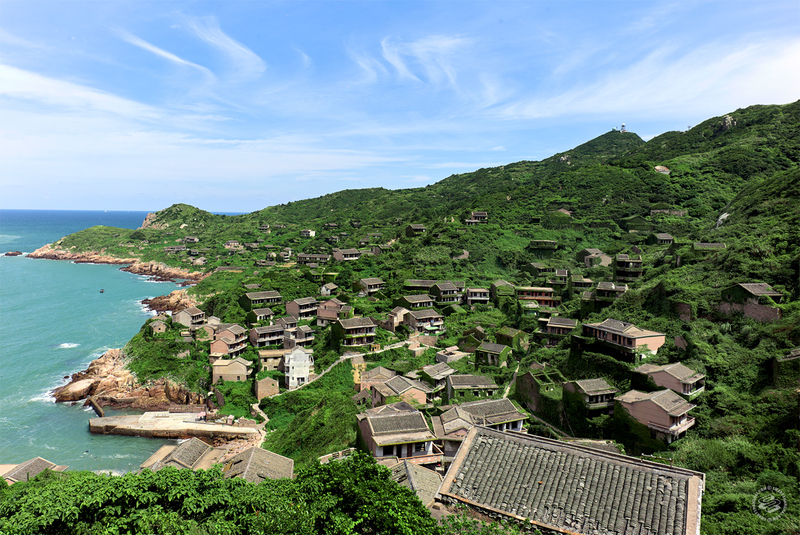 A trip to Houtouwan will take you minimum two days. 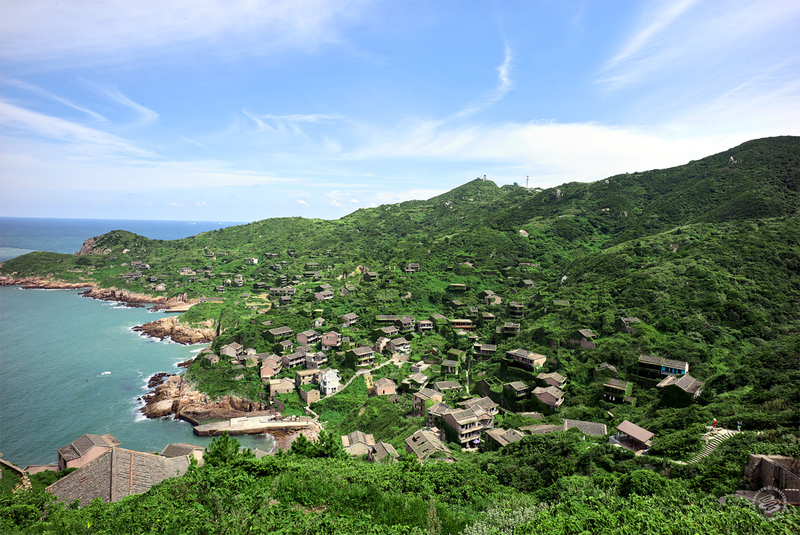 Allow for the possibility that you'll have to stay an extra night at one of the hotels on Shengshan that accept foreigners, in case a boat is cancelled or tickets are sold out. wow....I feel like a child that's wandered in to the middle of a movie....awesome pics,! Little Larry Sellers, we are so proud.